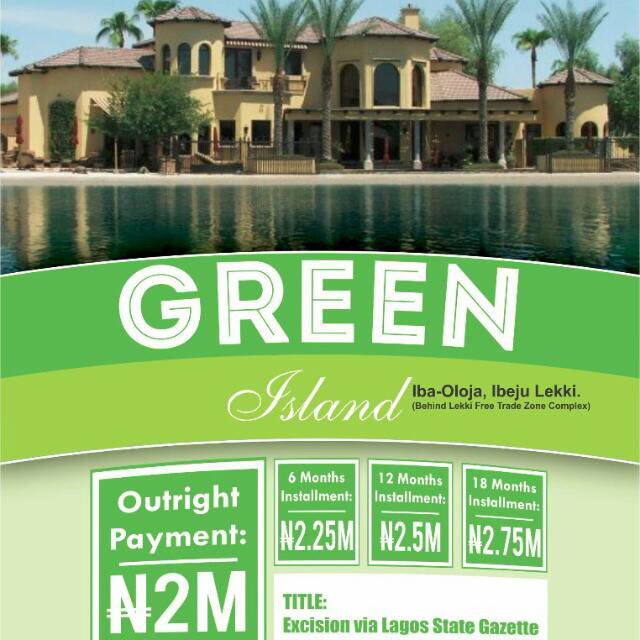 Hurry, Promo Ends Soon, ​A Must Buy Land!!! It's located in OROFUN VILLAGE in ELEKO town. 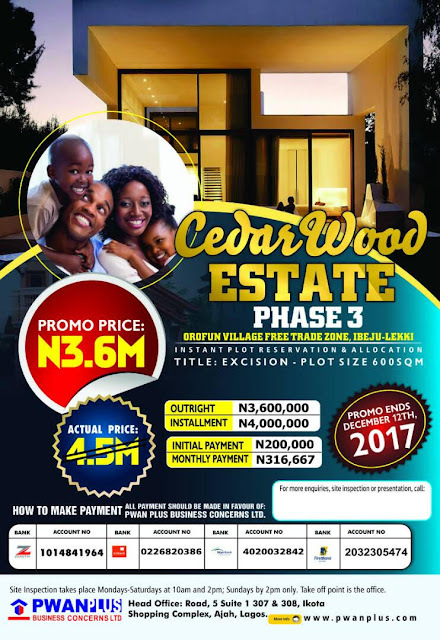 CedarWoood Estate Phase 3, is a property facing the road. Having this land around this remarkable area, the ROI in the next two years, will be over 100%. The neighbourhood is surrounded by built houses. The price is affordable, it's a titled and it's an opportunity for the now.